This new Van Gogh Museum publication focuses on the crucial role of the Thannhauser Gallery in the publicizing and distribution of works by Vincent van Gogh. From pre-war Germany to the early 1960s in New York, the gallery acquired and sold a significant part of Van Gogh?s oeuvre: more than a hundred works, including many masterpieces, now in museum collections around the world. Research into the gallery?s archive has provided a wealth of insights about how the Thannhausers cultivated and shaped an early clientele for the artist?s works. 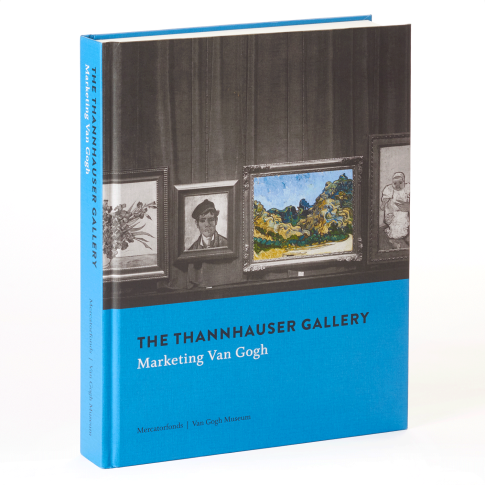 Many new details on the provenance of individual works of art are presented in this book, alongside in-depth studies on the mechanisms of the gallery and the marketing of Van Goghin an ever-globalizing art world. Hardcover, available in English and German, 327 pages, richly illustrated. ( please not: 49,95 RRP for German edition).